Stephen is a WELS member who used to live in Las Vegas, Nevada, but now travels around the country as a full-time Christian Music Missionary that seeks to "enlighten the lost and encourage the found" with his original, Christ-centered music. 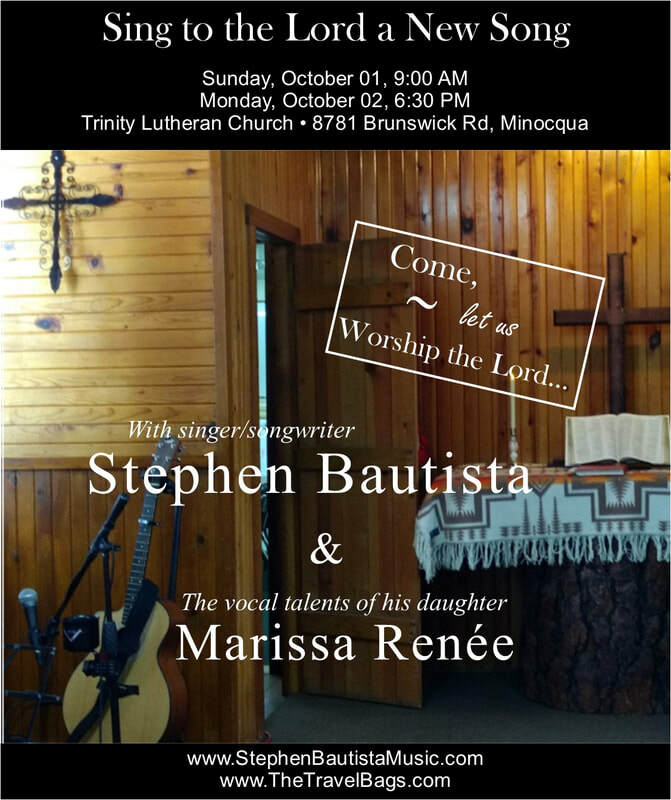 Along with his daughter Marissa, Stephen shares his music in a very compelling yet soothing style, while conveying a solid Gospel message. He tours the country with his wife, their eight "roadschooled" children, and a cat, while living in a travel trailer they pull behind a Chevy Express van. Stephen has four Nashville-produced CDs available for purchase at his concerts and worship services. His music is also available online at www.StephenBautistaMusic.com, iTunes, Amazon, and most other online outlets. Please consider supporting Stephen's music mission by purchasing his CDs and/or contributing a freewill offering that will help him continue spreading the Gospel with his music. For more information about Stephen's music and upcoming events, visit www.StephenBautistaMusic.com.